Features a curved handle with padding for superior comfort. Has a removable shoulder strap. Black with neon green for great visibility. Has both interior and exterior pockets. 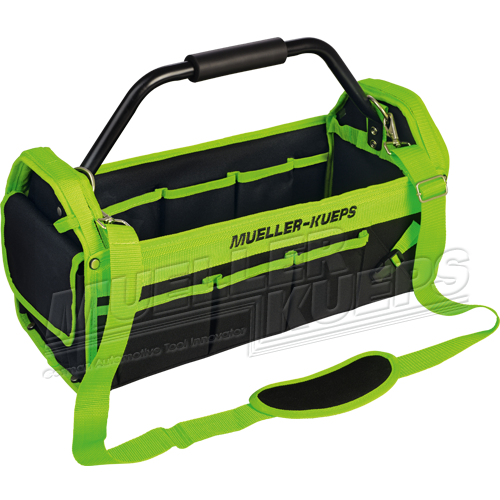 Great for mechanics or jobbers.